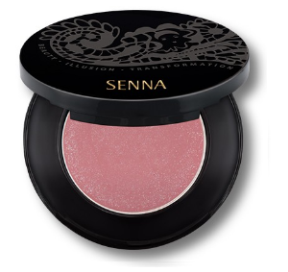 The secret to the lasting power and inner glow effect of this special blush is the unique duo phase formula. It goes on as a cream for smooth payoff and easy blending. Then it sets as a long wear powder with a dewy look. Works perfectly on bare skin or over liquid, cream, or powder foundations and never streaks. Wear matte colors on lips for a soft vintage look. Accent cheekbones, arches, Cupid's Bow, and eye area with Cheeky Blush Highlighter colours.